If you are in Malaysia; the largest state in the peninsular, Pahang, beckons you to go on an adventure in its vast tropical rainforests. The amazing state of Pahang is home to some of the best nature reserves and parks in the country and is a must-visit for nature lovers. Taman Negara (aka National Park) is a great place to spend a few days traversing some of the best wonders of nature. 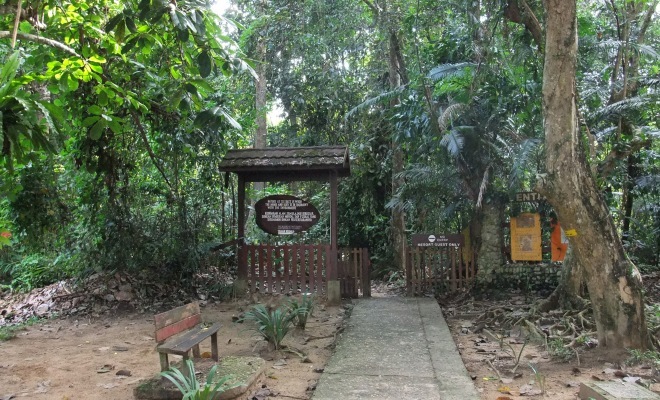 Enter the jungle with a keen sense for adventure and learn more about some of the unique species of flora and fauna found here. The park encourages tourists and visitors to enter and get on a trail with a sense of respect and appreciation for the beauty of nature. The trails in the park are well-marked for trekkers but it is always best to go with a day guide to gain a better insight into the beauty and uniqueness of the parks inhabitants. All you will need is sunblock, a hat, good and comfortable walking shoes, sufficient water, a map and some salt and you are all set for your adventure in this amazing tropical rainforest. If you plan to camp out in the park, do pack light and remember to bring along extra batteries for your flashlight. A whistle, emergency kit, a waterproof jacket and some candles will also be useful for your trip. One popular activity that attracts even the locals on most weekends here is the Fishing Challenge. Sungai Tembeling is a popular fishing site. Do consult with your local guide as to which area is prohibited for fishing. The park does maintain laws about fishing in order to protect and conserve the fish population here. A day in the Taman Negara Park will not be complete without getting on board a four wheel drive in the middle of the night for a safari through the natural jungle border. Spend about two exciting hours tracking and looking out for some of the inhabitants of the jungle. Keep an eye open for snakes, insects, and wild boar and Jungle cats. The night safari is certainly an adventure by itself as you traverse the jungle at night on a four wheel drive; stopping at strategic spots and waiting in anticipation for an animal to show up and make your day. Most of the animals here are active at night as they hunt for food in the dark so there is a high chance of seeing animals on your night safari here.